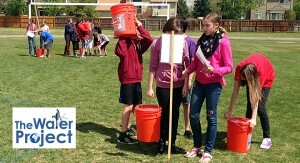 Over the past five years Summit Ridge Middle School has raised $5,027.42 for clean water projects around the world through its annual Walk For Water event. Please join us this year as we again partner with The Water Project who have connected nearly 135 thousand people to raise $3,087,514 for clean water projects world-wide. Please consider donating to the 2016 Summit Ridge Campaign for Water.